Aberdeen City Council resolves to grant Planning Permission in Principle for 4,700 homes and the town centre, including business park. The Grandhome Development Framework was approved by the Enterprise, Planning and Infrastructure Committee as Interim Planning Advice. Aberdeen City Council formally adopt the Grandhome Development Framework as Supplementary Guidance following approval by the Scottish Government. The first public exhibition since the charrette was convened to showcase the evolution of the masterplan, the draft Development Framework for the site, and the outcomes of the environmental surveys. A full team of environmental consultants surveyed the Grandhome site, including ecologists, archaeologists, landscape architects, ground conditions specialists, noise specialists and others. The Grandhome Trust reviewed the development of the masterplan with Aberdeen City Council, national agencies and the Scottish Government, in a set of workshops focussed on environmental issues and transport. Aberdeen City Council adopted the Local Development Plan, including Grandhome as a strategic development site. The draft Grandhome Development Framework was submitted to Aberdeen City Council. Follow-up meetings with the Bridge of Don community explored the outcomes of the SSCI Charrette. The SSCI Charrette Series Report was published, including masterplan proposals for Grandhome, as well as fellow SSCI sites Ladyfield and Lochgelly. 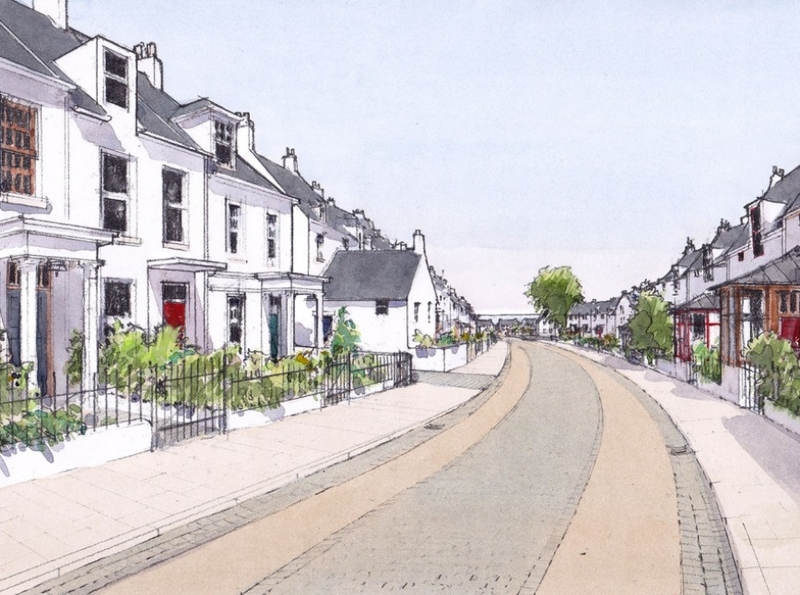 The Grandhome SSCI Charrette was carried out over eight days, during which the design team generated a full site masterplan, working with Aberdeen City Council officers, local Councillors, national agencies and the wider community. An initial public visioning session and exhibition introduced the Charrette concept to the local community and encouraged participation. The SSCI programme announced plans for the SSCI Charrette Series, to include Grandhome along with fellow SSCI sites Ladyfield (in Dumfries) and Lochgelly (in Fife). Grandhome was selected as one of 11 national exemplar projects for the SSCI. The Scottish Government launched the Scottish Sustainable Communities Initiative (SSCI) programme to encourage the development of high-quality, masterplanned communities. 68 development teams then responded to the call for demonstration sites, including the Grandhome Trust.